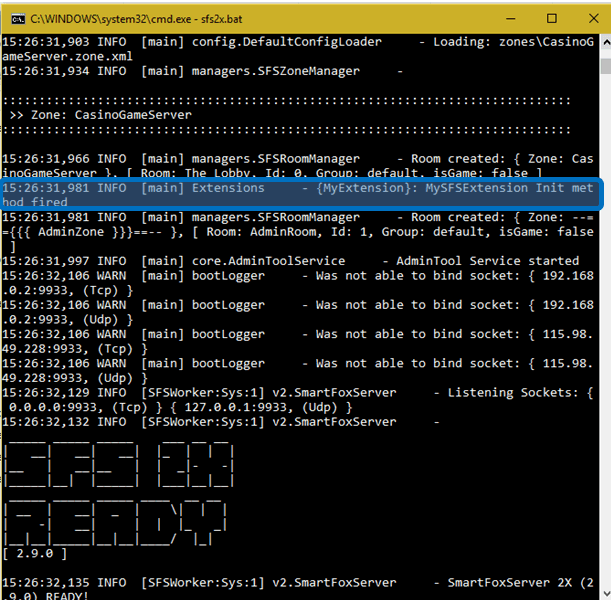 Step 2:- Name The Java Project I assumed it as "MySFSPorject"
Step 3:- Create a library folder named "lib" to place SmartfoxServer2x library files to create SmartfoxExtension. 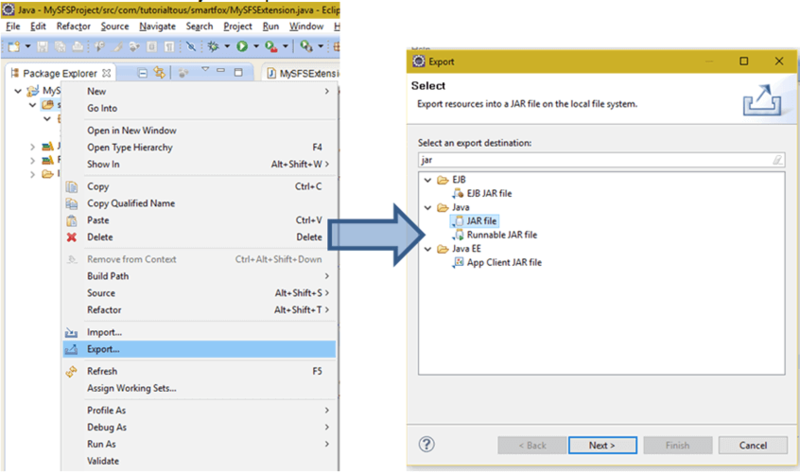 Copy the above jars and paste it into lib folder created in the earlier step. 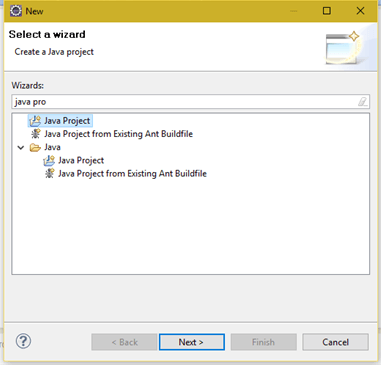 Select project -< rightclick and select “properties”-<select ‘javabuildpath’ - < Select ‘Libraries’ Tab -< Click ‘Add Jars’ -< select the above 5 jars pasted in your ‘lib’ folder -< press ok button. 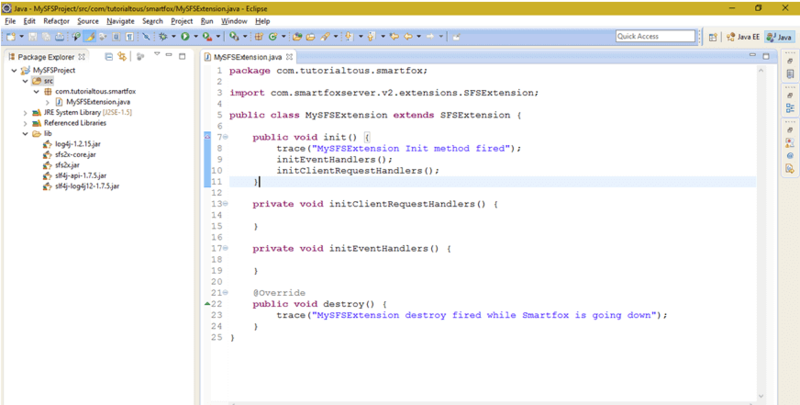 Step 6:- Create a new ‘Class’ named MySFSExtension under package 'com.tutorialtous.smartfox' as a child class of SFSExtension. 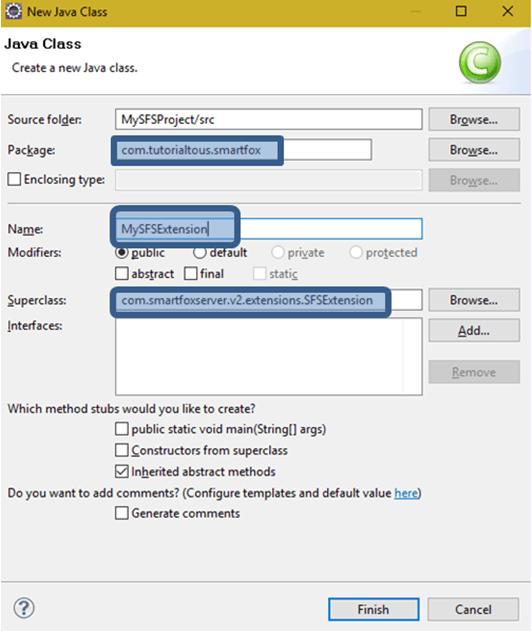 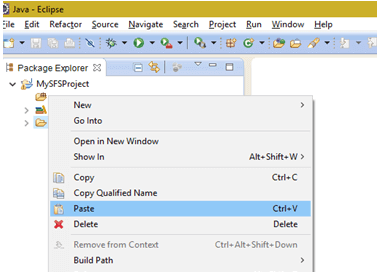 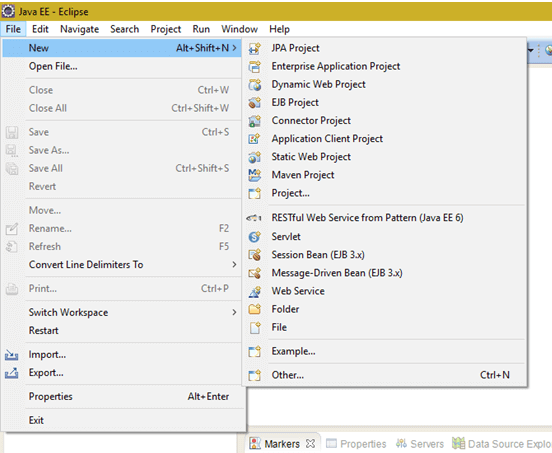 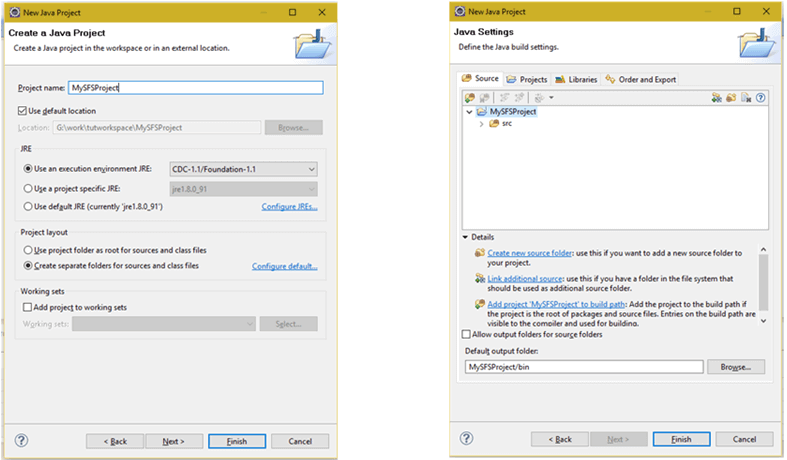 Step 8:- Create a Folder under extensions folder (SFS2X-<extensions), I am creating a folder name MyExtension (SFS2X-<extensions->MyExtension). 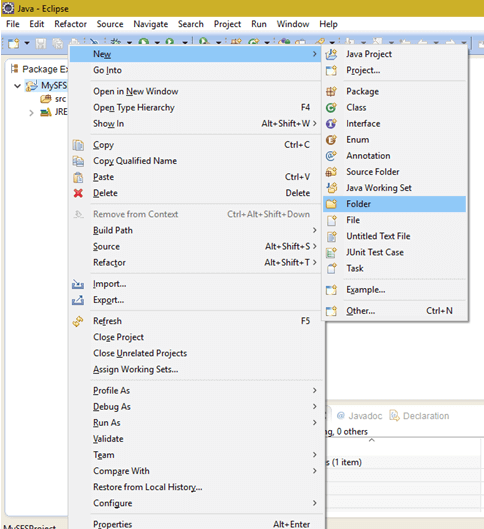 Right click , choose EXPORT option and select JAR option. 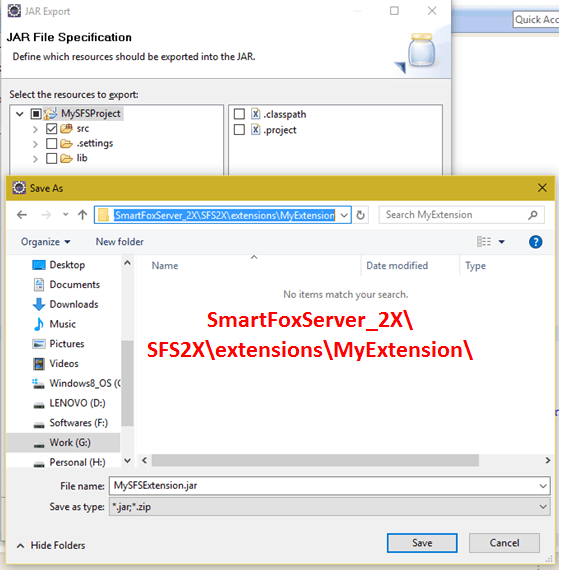 Step 11:- :- Restart the SmartfoxServer using batch file sfs2x.bat located in SFS2x folder SFS2x-<sfs2x.bat.